It’s become a tradition of sorts that every time I come home from school, at least one morning is dedicated to the hol(e)y breakfast grail that is the bagel. 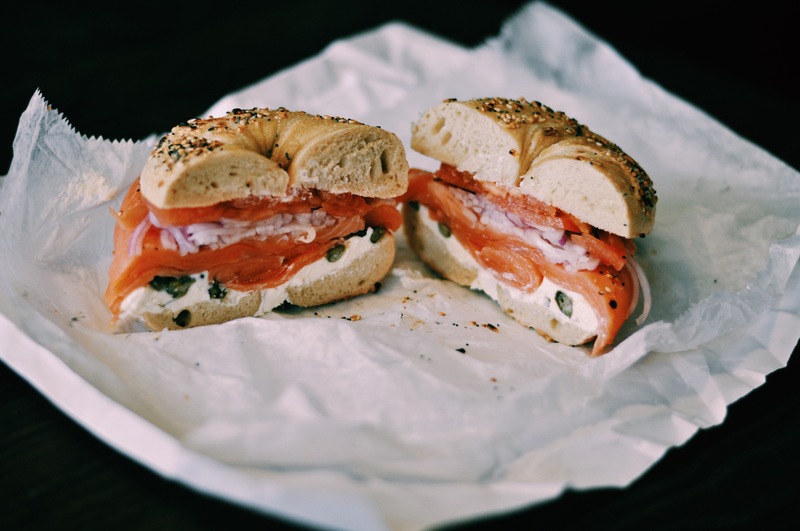 More specifically, the bagel with lox and all the necessary accompaniments (cream cheese, red onion, tomato, capers). This tradition has mostly arisen as a result of the fact that I usually come home with an extreme craving for this exact breakfast. 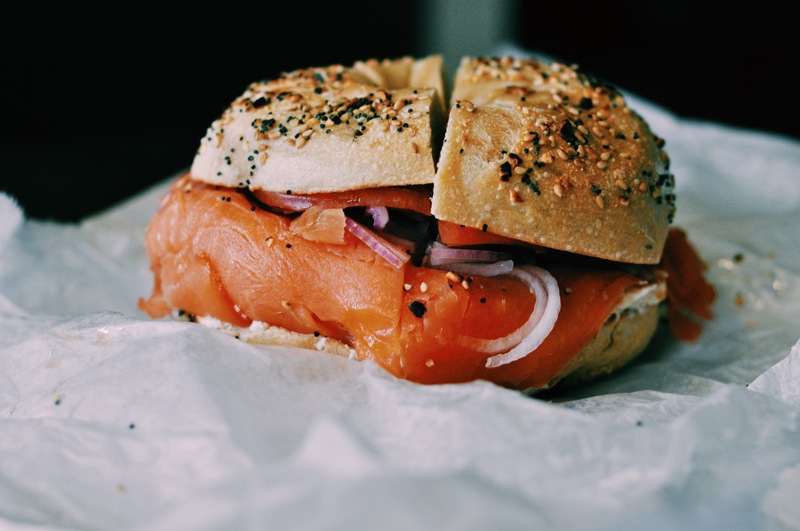 The ability to find such a perfect specimen of a breakfast item outside of the tri-state area can be a challenge, most often due to subpar bagels. As such, I see no harm in satisfying my bagel-hunger upon each return home. 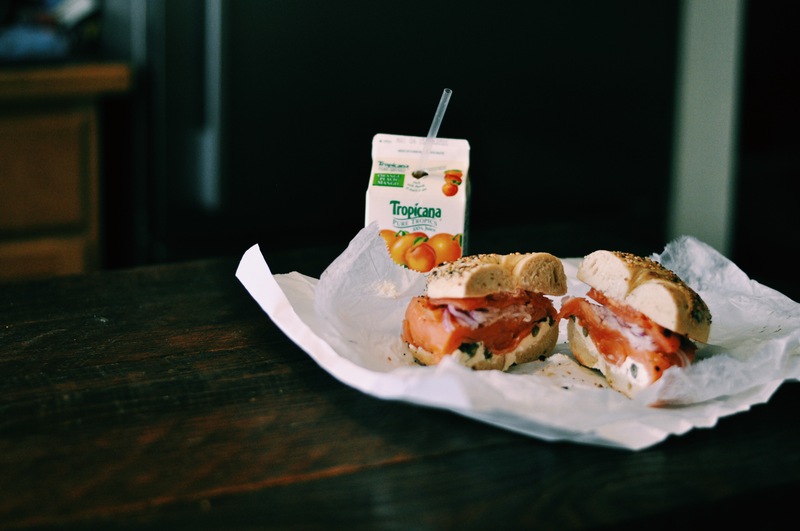 Bagels and lox also have a sentimental value for me. Mostly because I’ve been eating them for as long as I can remember. As a young(er) child, they were an extra special treat that resulted from Sunday morning trips to the neighborhood bagel store with my dad. I’d always sneak in a carton of Tropicana orange peach mango just as we were checking out, since OJ was basically never allowed in the house per mom’s rules, but knew I could get away with such a luxury in her absence. This bagel breakfast happens to be super extra special (hence the indulgence in the OPMJ) – it’s my last breakfast before I head off to Paris for spring break! My flight leaves in just a few hours and I’m SO excited. The first time I went to Paris was nearly 10 years ago, and I have not been back since then, so this trip is long overdue. I’ll be sure to fill my next post with a recap of all of the treats I plan on scarfing down during my week in Paris-dise. Until then, au revoir!